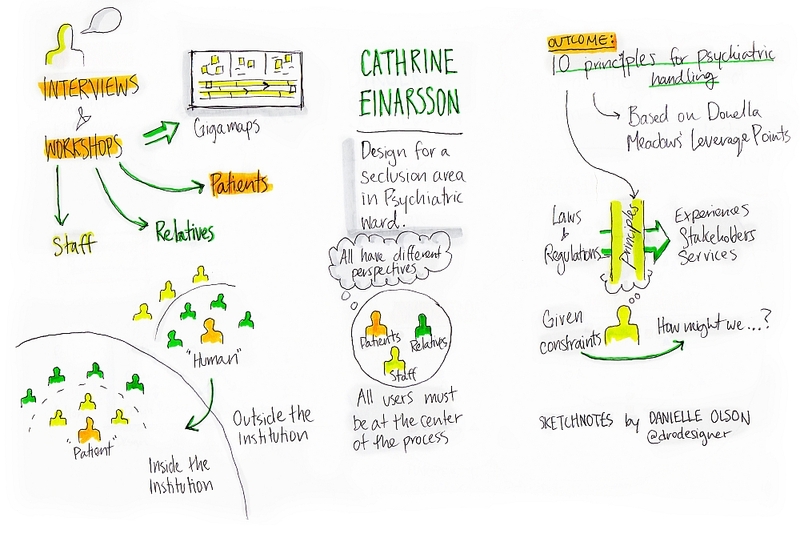 Einarsson, Cathrine (2014) Designing for acute psychiatric care in a learning process of systems oriented design. In: Proceedings of RSD3, Third Symposium of Relating Systems Thinking to Design, 15-17 Oct 2014, Oslo, Norway. 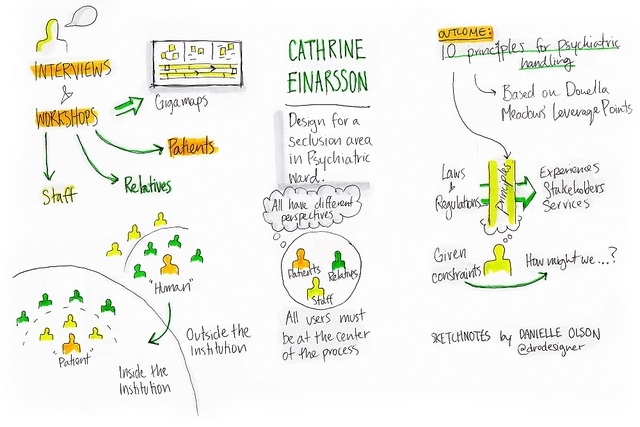 How does learning a systems oriented design approach together, affect and impact the co-design process and outcome between designer, and health professionals at an acute psychiatric ward? A ward team is consisting of psychiatrists, psychologist, special nurses, nurses, unit manager, lead special nurse, social worker, all working closely with inpatients at the ward in an intertwined, multi-disciplinary team. Not only focusing on treatment at the ward, but also building strong relationships to the patients “outerworld”. The team is very passionate, willing and open to change (J. Schaeper) as well as comfortable with open-ended processes. But at the same time they are restricted by the old ways of doing in healthcare practice (Jones 2013). Their role in the process has been to facilitate and contribute with resources, open up the ward for the designers to research and observe, participate in co-research and co-design workshops, facilitate meetings with users and the designers to learn about the ward, and participate making design interventions at the ward. 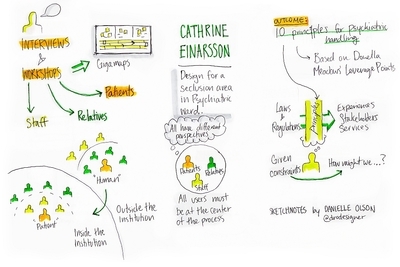 The result of this process will yield interesting view points on how the different parties approached and shaped the systems oriented service design process towards the final result of the project. What were the perceived relevance and value from both perspectives, and when did it occur? Doing this will provide a rare insight into where the real impact happened in the project and also what else the process triggered apart from the concrete design solution in the end.